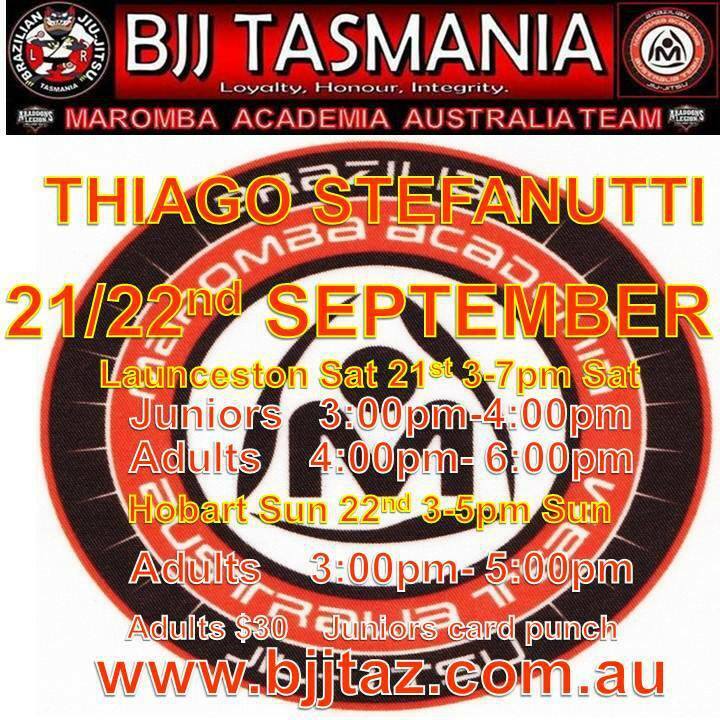 Our Head Coach Thiago will once again bein Tasmania to deliver a great round of seminars for the BJJ TAZ/Maromba Team. There are 2 seminars available, Saturday the 21st of September from 6pm in Launceston and Sunday the 22nd of September from 3pm in Hobart. You are doing yourself a huge favour by attending one seminar with a world level BJJ coach and competitor, let alone two. You will also struggle to find this kind of value any where in the world for this level of instruction. Big thanks to Jim and the BJJ TAZ guys for all their work in organising this, what a great team we have! This will be Thiago's first visit to Hobart, so let's make a real show of it and get as many people on the mat as we can!